Our client, a major developer and management company in WNY is in need of a solid hands-on Maintenance Manager. 1) Experience should include supervising 3 + mechanical personnel; but also will to take on some direct hands on duties. 2) Direct the Maintenance Department and all contracted services. 3) Experience with HVAC systems and also outside maintenance such as snow removal and salting. 4) Thorough knowledge of operations, including repair, electrical, plumbing, carpentry, masonry and painting. 5) Strong leadership qualities and the ability to interface with other departments. 6) Excellent communication skills and the ability to coordinate all maintenance activities for the company and departments. 7) Demonstrated experience with all scheduling, training, and all personnel matters within the department. 8) 3 + years experience as a maintenance supervisor. Recruitment professional since 1970 with disciplines in accounting / finance, construction management and banking, manufacturing, and human resources. He started in the business with AFCO Personnel Services in 1970 and after two years was appointed manager and then managing partner. 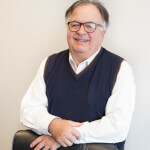 Joe merged AFCO Personnel Services in 1983 at which time he and Mike DeBellis founded DeBellis & Catherine Associates. Joe attended SUNY at Buffalo studying liberal arts and sociology. He was active with the Niagara Falls & Buffalo Chamber of Commerce, executive committee for the Porter Cup amateur golf tournament and was on the St. Mary's Hospital Foundation Board of Directors. He is currently an active member with the Williamsville Rotary Club.